Is Cosmetic Dentistry an Option? Even with a healthy mouth, your smile may not be meeting your standards of perfection. If you’re self-conscious because of tooth discolorations, gaps between your teeth or you have teeth that overlap, it may be time to consider a cosmetic procedure to bring your smile back to life. However, considering the pricey nature of cosmetic treatment, and the fact that traditional dental insurance plans don’t cover it — is cosmetic dentistry an option you can afford? Actually, with the help of a dental discount plan, you may be surprised as to how fast you can be on your way to an incredible smile make-over. Tooth whitening is frequently done to correct stains that have originated inside of the tooth enamel. Over-the-counter bleaching products are available, but for the most effective, safest and quickest results, the American Academy of Cosmetic Dentistry recommends a dentist-supervised procedure. An in-office technique is the quickest road to a brighter smile but the most expensive. Taking only one visit, this procedure comes with a price tag of $300 to $1000. Take-home, custom trays are more cost-effective with fees averaging around $350. Although, you’ll need to wear the bleach-filled trays a couple of hours every day for at least 10 to 14 days. Porcelain veneers are thin shell-like pieces of porcelain made to fit over the front of your teeth and are often used to cover discolored, poorly shaped, chipped or heavily filled teeth. Minimal tooth structure is removed in preparing the teeth, and the finished product is exceptionally natural looking. Nonetheless, they are pricey, costing up to $1300 per tooth. Tooth contouring is a simple procedure that removes very small amounts of enamel to reshape a crooked or chipped tooth or shorten one that is too long, making it more esthetically appealing. 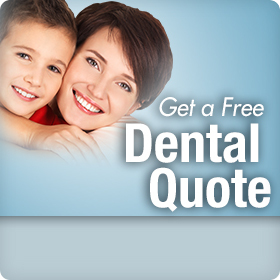 Depending on how much work is needed, the fees usually range from $50 to $500 per tooth. Dental bonding involves applying a tooth-colored resin material to the tooth and using an ultraviolet light to bond and harden it. If bonding is done to repair a broken tooth, dental insurance will provide benefits, but when done for cosmetic reasons, your out-of-pocket payment will typically range from $300 to $600 per tooth. Whether you are contemplating treatment to improve your smile or your out-of-pocket dental expenses in general have gone through the roof, a dental discount plan offers the following advantages you just cannot ignore. Large network of dentists who are selectively credentialed and highly qualified. Click on this link to learn more about how a Confident® dental discount plan through Careington® can help you and your family save money and get the treatment you not only need but want.